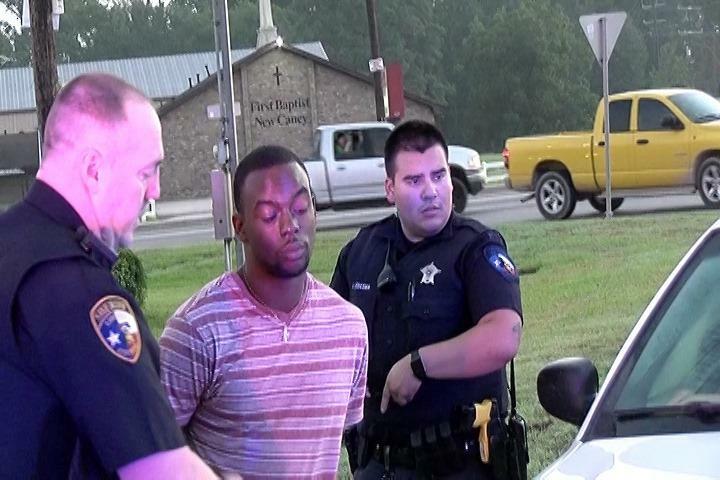 Pursuit that Began in Corrigan Turns Into Payday for Many, LIBERTY COUNTY, August 21, 2016 - Early Saturday morning Corrigan Police attempted to stop a white GMC Denali which was southbound through their city at a high rate of speed. 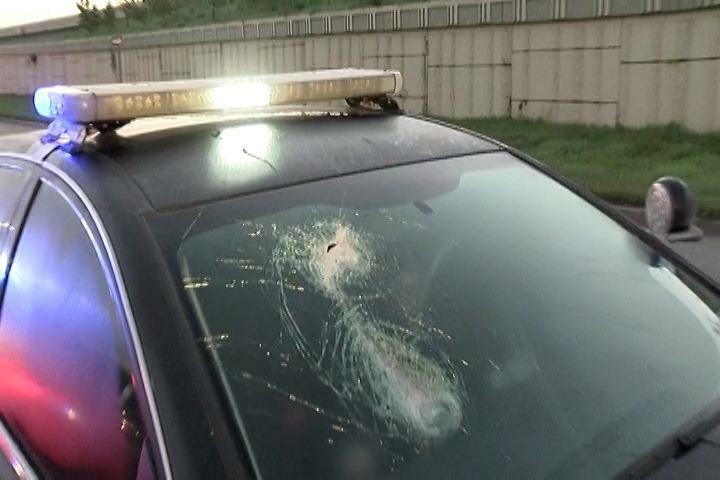 As they turned their emergency lights on, the officer was met with a flying object through his windshield and the pursuit was on. 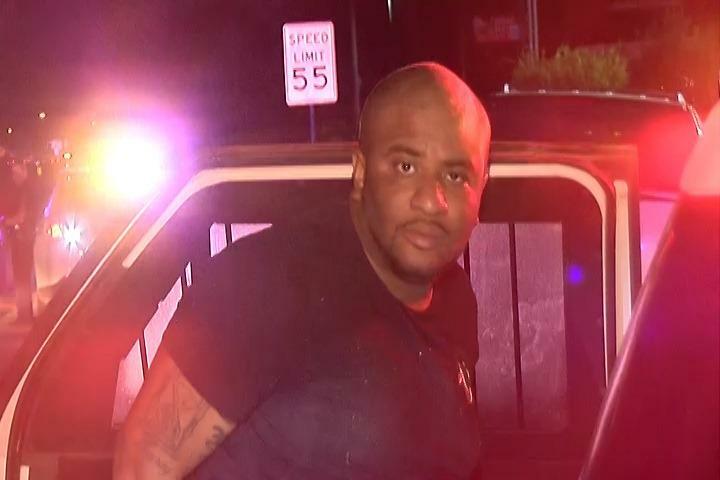 Reaching speeds of 130 mph the chase contunued through Polk and San Jacinto County. As the pursuit entered Liberty County, Sgt, Pierce with the Liberty County Sheriff’s Office deployed his brand new spike strips issued to him just hours earlier near FM 2025. Three of the four tires were destroyed, but the chase continued. Deputies R. Whitten and S. Rasberry with Liberty County Sheriff’s Office assisted. As the chase went through Splendora, Splendora, Montgomery County and Cleveland joined in. That is when the five occupants began throwing undles of cash out the windows. 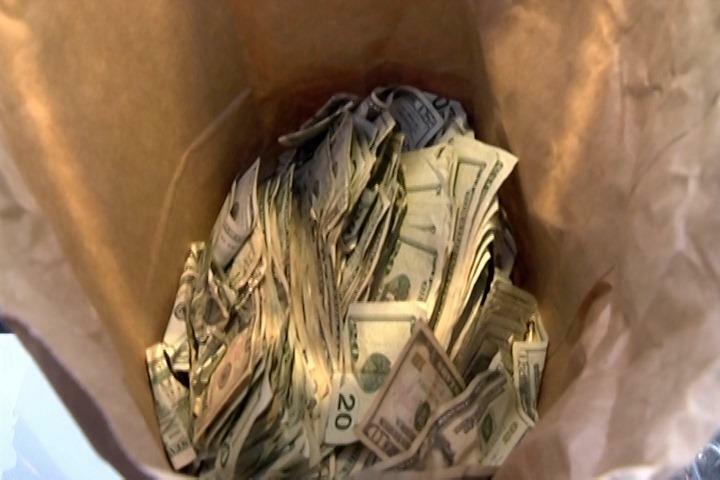 The bundles were met by pursuit vehicles hitting them and causing cash to fly. At times on it looked as if it were snowing $100’s, $50’s, and $20’s. In all deputies believe well over $100,000. Motoristsd seeing this were stopping on the freeway collecting cash. One trucker who broke down said one man used his shirt like an apron and had it filled with cash. 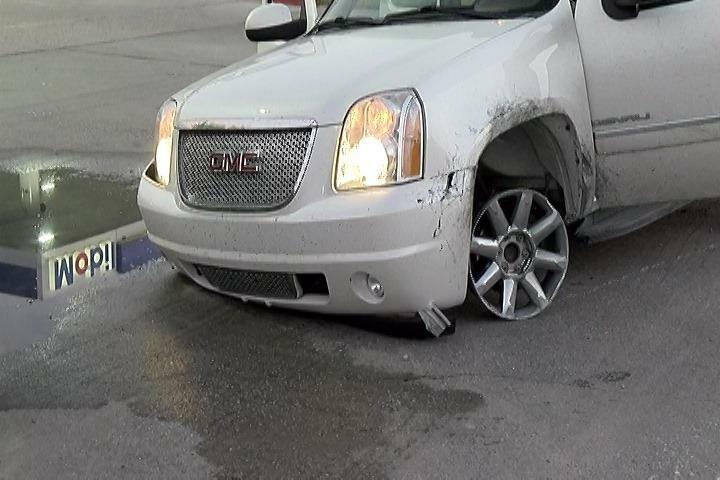 The chase continued to FM 1485 where the vehicle exited with no tires and only a brake caliper on the right front. The vehicle stopped at the intersection just as the Corrigan patrol unit ran out of gas. 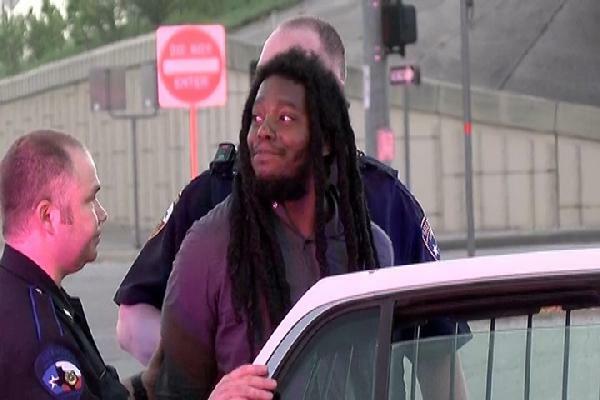 All five were taken into custody. Inside the vehicle still more cash. It is unknown at this time where the money is from. 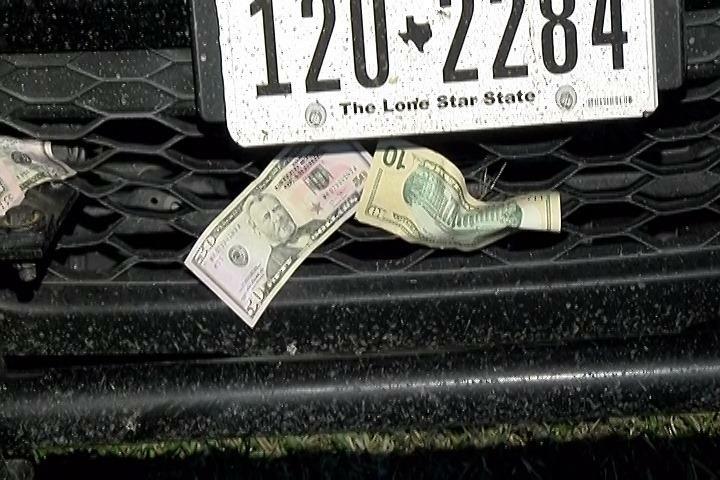 Police and wrecker drivers walked the freeway from Splendora to New Caney picking up money that was still on the grouund. This filled yet another brown paper grocery sack, used for evidence. Deputies had to work at getting to radiators odf several patrol cars as they were clogged with cash. Many motorists who were southbound and now just seeing cash hanging out of their grilles. Liberty County is asking anyone who picked cash up to contact Liberty County Sheriff’s Office as they attempt to find the rightful owners. Not many are expected to call, however many who stopped were recorded on patrol car dash cams and business security cameras. All the suspects are from Tennessee. The white GMC Denali is also registered in Tennessee. All suspects are currently being booked into the Liberty County Jail on a charge of evading. Additional charges are pending.